The District at Tempe is a high-energy shopping and entertainment destination in one of Arizona’s fasting growing desert communities. 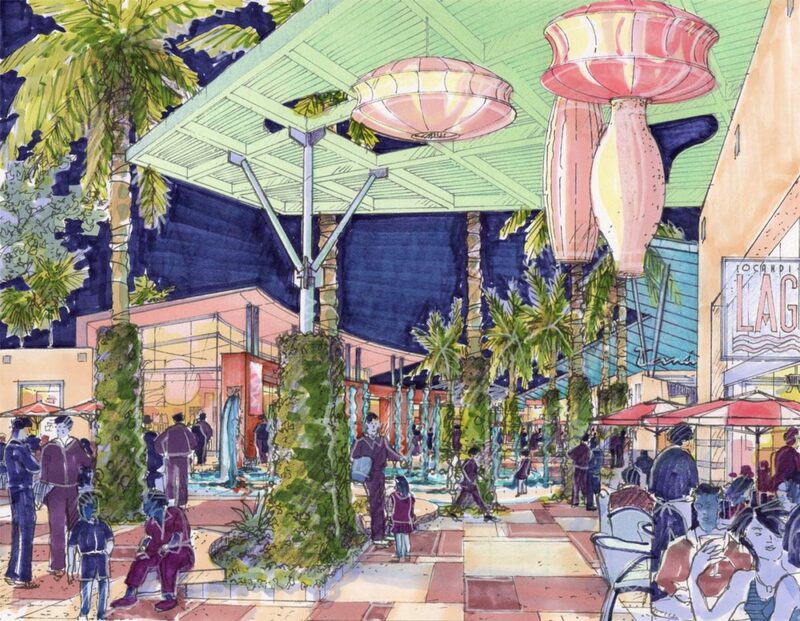 The 135 acre (55 hectare) lifestyle center features 50% shaded areas, maximizing shopping comfort through thoughtful building placement and height, canopy trees and vine covered trellises and loggia. 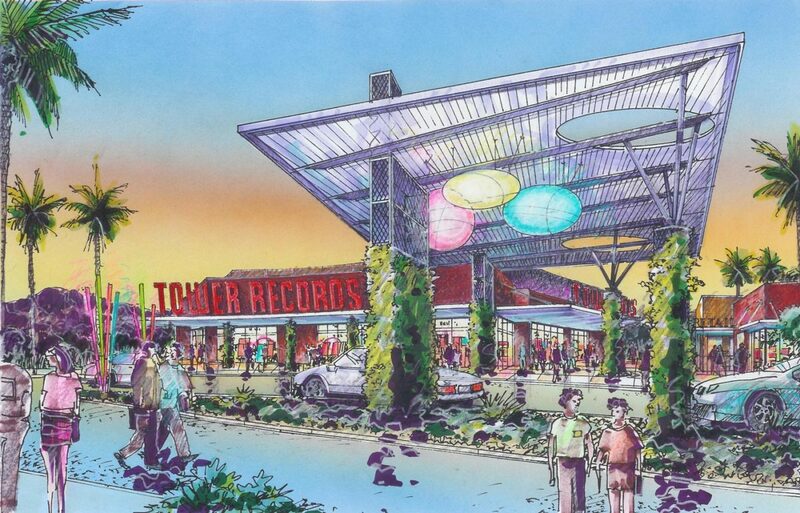 The District combines large power users and neighborhood shops, with architectural elements that encourage return visits. Broken into specific areas, each is linked by sun-splashed courtyards and are marked with distinctive landscape design, hardscape and art. Intricate paving patterns guide customers through large and small tenants, and ultimately toward an exciting entertainment zone featuring cinemas, bookstores and restaurants. 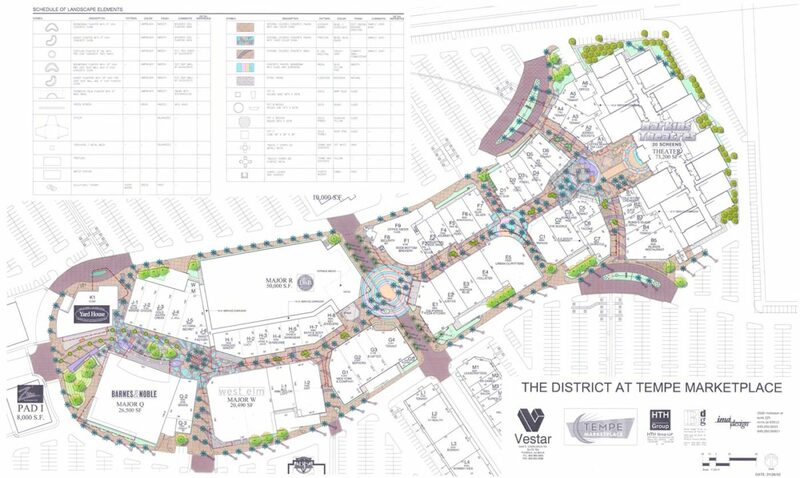 The District at Tempe is Vestar’s third large scale retail development featuring ima’s land planning and landscape architecture expertise.